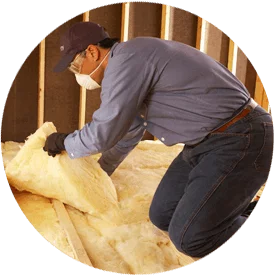 If you need commercial insulation services in Boise or a surrounding area in Treasure Valley, you’ve come to the right place. Big City Insulation of Idaho can work with you and ensure your new construction or retrofit insulation project goes smoothly. Contact us today for a free quote or keep reading to learn more about our rockwool insulation solutions. Rockwool insulation helps protect against damaging moisture infiltration that can reduce the R-value and overall performance. This helps ensure it will help you maximize the most energy savings. Rockwool insulation’s fibrous structure offers flexibility that isn’t found in other materials and may be required for a particular project. If you need this type of insulation for your commercial building, the Big City Insulation of Idaho team has you covered. Contact us to get your free quote!